This year wasn’t off to a good start in terms of internet security. Last month, a mammoth data breach occurred, affecting over 773 million emails worldwide and compromising over 21 million passwords. Browsing the internet safely is of the utmost importance and I think it is safe to assume that cybercrime is going anywhere any time soon. It is extremely important to know if your passwords are secure and that is where Google’s new Chrome extension, Password Checkup, comes in. This extension warns users if they have compromised passwords. Password Checkup released yesterday, which was Safer Internet Day if you didn’t know. You can download this extension for Chrome from this link if you use the browser and want to find out (and you really should) if you are using compromised passwords. Google developed Password Checkup with cryptography experts from Stanford University. For those who are wary of such an extension, Google claims that although information is sent to them, they have no way of seeing your login information thanks to a variety of systems including “hashing” and “private information retrieval”. 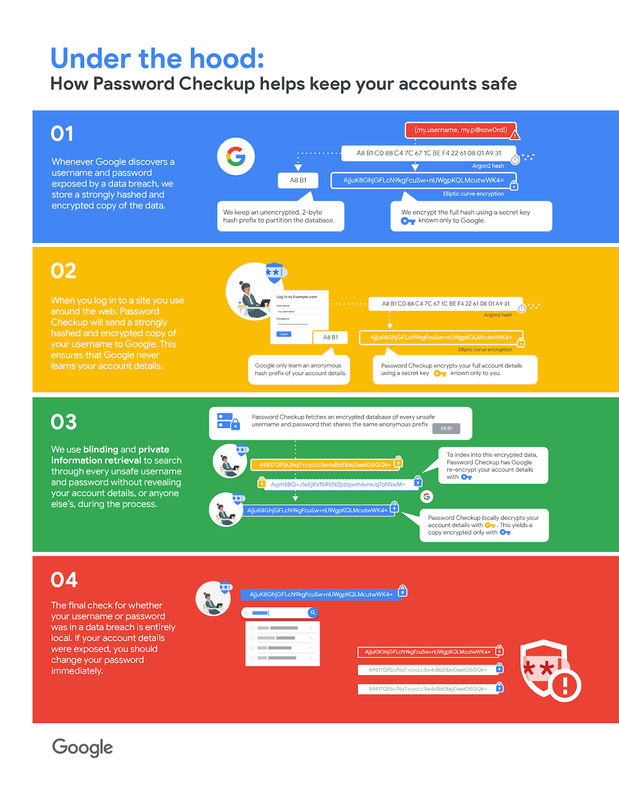 Check out this Infographic for some technical information about how Password Checkup works. Hopefully, Password Checkup will save some users from a big headache going forward and I, for one, would like to see the extension become part of future Chrome versions as a standard feature. What do you think about the Password Checkup extension and do you use Chrome as your browser of choice? Let us know in the comment section below.